After several failed attempts in late 2008 the author was granted permission by the Serbian authorities to visit Batajnica. 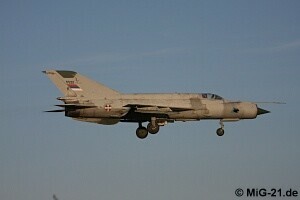 Before he not only took the opportunity of Serbian Air Force Day on August 2 for a visit on site but drove to Batajnica again following Kecskemet Airshow to take pictures from outside the airfield. 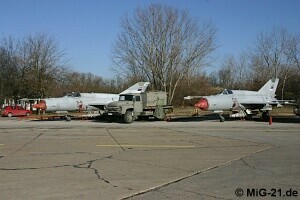 ... but in exchange the aircraft was freshly overhauled MiG-21UM 16178. 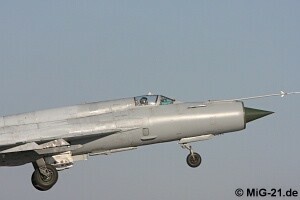 On December 9 and 10 finally there was a chance to have a close look at flying service with 204th AB. As opposed to earlier times pre-flight checks are undertaken in front of the hanger area. There J-22 Orao 25207 in special colours makes a engine test run. Ready to take-off: pilot and technician wait for the signal to start the engine. 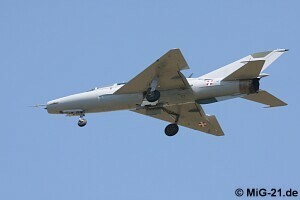 The MiG-21 we see here by take-off is one of two models that have been modified to function as reconaissance aircraft. 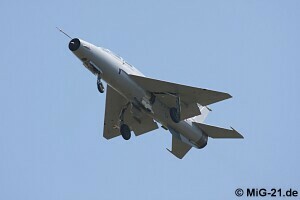 Previously the MiG-21MF and MiG-21R fulfilled role, but since then have been decommisioned. 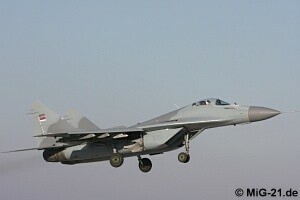 Four out of the five MiG-29s currently in service have been recently overhauled and fly at a regular basis. The fifth is currently undergoing repairs. 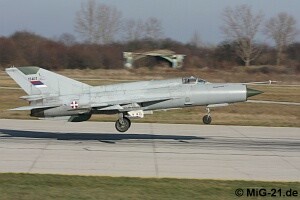 A MiG-21 landing. Serbian pilots apply a very smooth landing technique that makes the use of brake chute unnecessary. 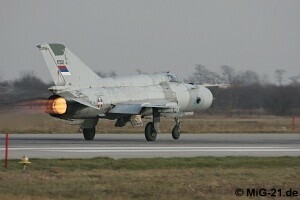 The MiG-21, after having cleared the taxi ways, is now in position and takes-off on full afterburner heading south. 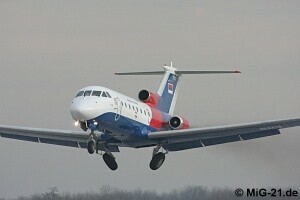 The flight calibration service titles identify this Yak-40 as a calibration vehicle for flight safety infrastructure. 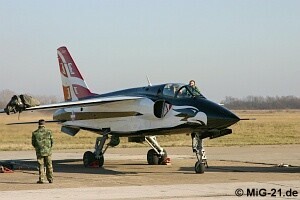 The aircraft is also used for training purposes. 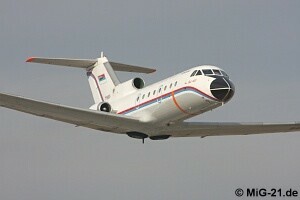 This Yak-40 in Serbian national colours has just returned in Summer from a general overhaul in Belarus and is primarily used as a VIP transport. 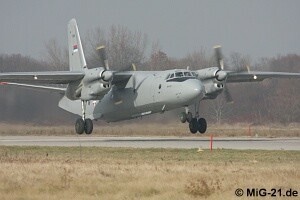 Take-off of an An-26 to a 50-minute long flight with parachute jumps from different altitudes and different approach patterns. 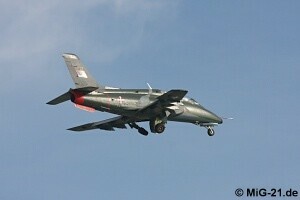 A G-4 Super Galeb taking off for a weather flight. Several of these aircraft are to be upgraded with new avionics. 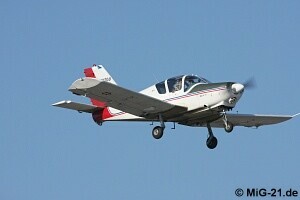 The UTVA-75 propeller trainer is used for beginner's training as well as to keep currency of experienced pilots. 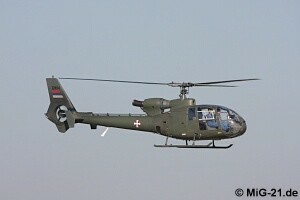 Helicopter pilot training on the Gazelle, license-built by SOKO. The light-blue jumpsuit identifies the young man on the right hand seat as a trainee. 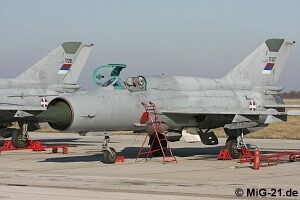 Since 2004, when the MiG-29 fleet had to be grounded due to expired airframes, the around-the-clock protection of Serbia's air space has been taken over by MiG-21s. 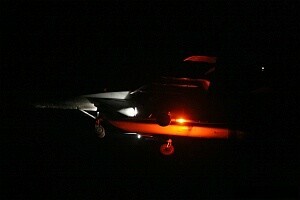 ... the MiG-29 also took-off for night flights.